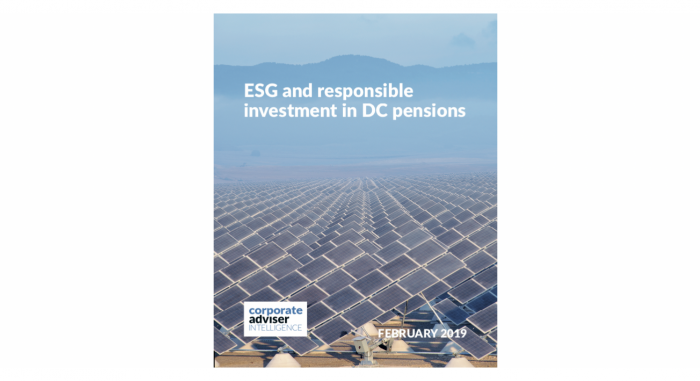 The armaments sector is more likely to be excluded from default funds operating an ESG approach than the fossil fuel sector, according to an indepth report, ESG in DC Pensions, from Corporate Adviser. The report, which covers 15 of the 30 asset managers currently active in the master trust and contract-based default sector, found a majority have a companywide climate change policy, but only three have a decarbonisation target for assets under management. Other shades of responsible and sustainable investment strategy – such as socially responsible investment (SRI), ethical and impact (where positive objectives are established before capital is committed) – are also gaining increased traction to different degrees, although as a percentage of assets invested overall, remain a minority interest, the report found. A sizeable proportion of assets managed now integrate ESG factors, with asset managers using an ESG approach to either a full or partial extent. However, for many asset managers, ESG represents a small part of the total assets managed. The report found that the extent to which asset managers vote on controversial issues varies widely. The percentage of times asset managers vote against the board ranges from 8 to 42 per cent. It also found a clear distinction between asset managers that publicise their voting activities and the rationale behind it, and those that choose to engage privately. The report found the range of ESG factors taken into account is relatively uniform across providers, although there are some differences. Some asset managers do not take account of sustainable water policies, reducing exposure to nuclear energy, fair pay, corporate tax or boardroom diversity. The report found that virtually all asset managers that responded expect to be able to present data and costs and charges in the format prescribed by the Industrywide Disclosure Working Group, which has now be taken forward by the Cost Transparency Initiative. Whether the approach of the 15 asset managers who did not respond to the survey will adopt a similar attitude remains unclear. The report identifies a wide variation in asset managers’ interpretation of what qualifies as an ESG investment. For some in involves analysis of multiple factors, reliant on significant amounts of data, while for others, stewardship activities in relation to voting qualifies a fund as having ESG characteristics. DC assets represent a relatively small part of the overall ESG investment universe at present. However this is predicted to grow significantly. 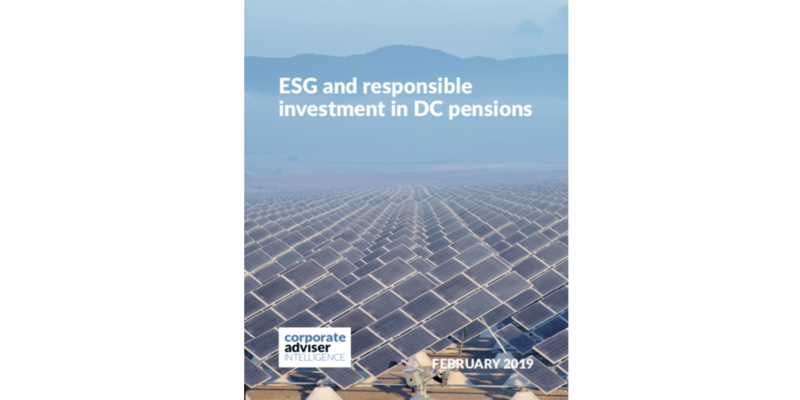 Report co-author John Greenwood says: “In recent years interest in responsible and sustainable investment strategies within the workplace defined contribution pensions sector has surged considerably. The key drivers of this have been political and regulatory action, a broadening of focus following the completion of the rollout of auto-enrolment and a broader sense of momentum in support of the principles that stand behind responsible investment. “There is a considerable body of evidence that suggests an approach that takes ESG factors into account can help asset managers manage future risks and identify potential investment opportunities. Supporters of ESG point to examples such as the emissions scandal at Volkswagen and the furore over working conditions at Sports Direct as cases where poor ESG practices have had a damaging effect on shares prices and asset values. ESG advocates say identifying material risks should be a basic part of any asset manager’s process. “In the auto-enrolment space many pension scheme trustees and IGCs are now – for the first time – looking for asset managers to embed ESG factors within their investment process. “New regulations will require trustees and IGC members to take ESG factors into account in future. The one ESG factor they are specifically required to consider is climate change. There is strong support from the public for pension funds to take a more proactive stance on a range of ESG issues, including climate change – but at the same time there is some evidence that suggests members do not want to sacrifice returns as a result 2.